Nursing is the nation’s largest profession in health care. It’s oh so uber important to get advice from nurse experts before, during, and after nursing school. Here in this post, we offer you loads of actionable tips to help you experience a happy, healthy nursing career and life you love…from school and beyond. My friends at Online Nurse Practitioner Programs, asked hundreds of nurse experts to contribute and came up with a BONAZA of help for you. 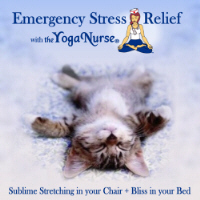 YogaNurse offers you a super tip on how to manage stress – see #81. With love to all the nurses, new and seasoned. We here at team YogaNurse bow to all of you.